"Where do you want the stuff to hang, boss," my assistant would ask, "in with the Mondrians, maybe?" "No, I don't think so - the sense of line is similar, but there's more sense of humour in Zend - so try wedging them between the Miros and the Klees, and better set up an exhibit of Saul Steinberg in the foyer as a teaser." "Out of ze question," Maestro von Zuyderhoffer would declare. "I conduct no Zend before Bruckner, not even mit Webern to raise curtains." "But, maestro, Zend takes the comsmos for a plaything, as does Bruckner, and wrings out of it an epigram, like Webern. However, I suppose we could try him on a chamber concert with early Hindemith, maybe..."
"...and then, perhaps, Kurt Weill..."
"...and finish off with Satie." "Nein, kein Satie. Zat vun is not knowing secondary dominants, und ze vork of Zend is full of modulation." 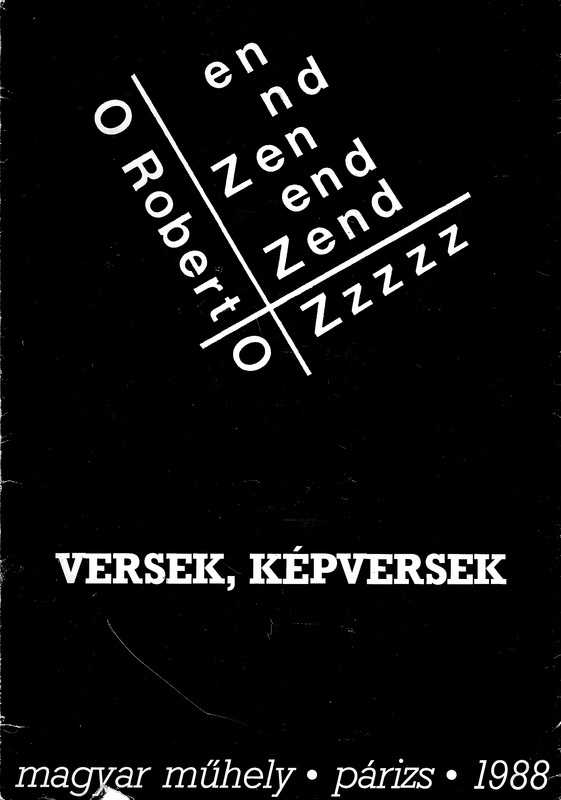 Robert Zend could stand alone - his cynically witty, abrasively hedonistic, hesitantly compassionate, furtively God-seeking poems could mingle with each other, find their own program-order, and settle among themselves the question of what goes where and how much wall-space will be needed. Gee, what an easy life book publishers must have. A work of extended visual fiction, a creation story, a salvation story, a miniature bible. 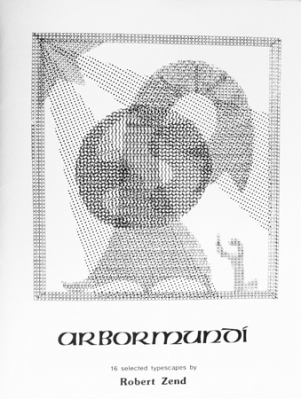 Translated with John Robert Colombo.